The MLT-13 is a 30 hour movement and runs on 2 lb 12 ounces. The dial has a 9.32" diameter. Woodworks built back in the late 1700's to the early 1800's normally were 30 hour movements and ran on 3 lb. 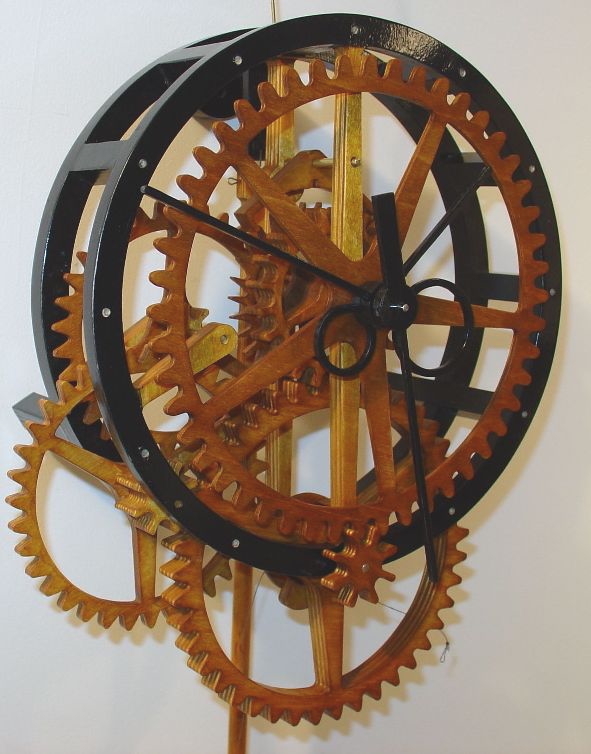 I've had eight day movements such as the Joseph Ive's roller pinion clock that ran on or about 7 lb. The drive train suffered terrible damages due to the heavy weight it required to function properly. That is the basic reason for designing the MLT-13 as a 30 hour movement. Less wear and tear on the works.